Following the latest FAA Airfield Security and Safety Guidelines, our airfield access gates will permanently close on July 11, 2017. To be permitted onto the ramp, Commercial Ground Transportation Companies will be required to have a Commercial Operator Permit. For additional information contact Stacey Justesen at stacey.justesen@truckeetahoeairport.com or call (530) 587-4119 x125. 24 hour limo service "Driven By Excellence"
For exceptional private car service to, from, and around Lake Tahoe 24/7. 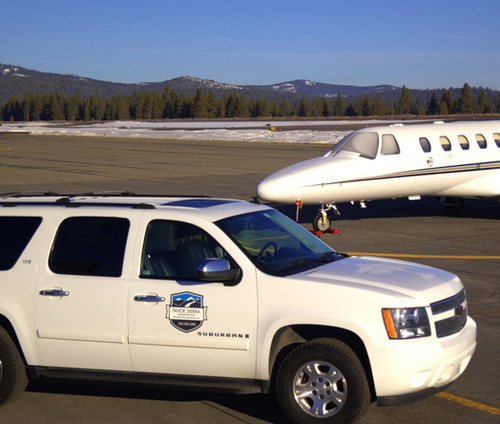 Pilot owned North Lake Tahoe private car service.